The Six Sigma master was once the undisputed authority in management. But Fortune is finding that today's smart CEOs are following a different set of rules. NEW YORK (Fortune) -- Once upon a time, there was a route to success that corporate America agreed on. 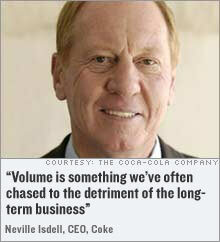 But in today's fast-changing landscape, that old formula is getting tired. 1 Agile is best; being big can bite you. Big dogs own the street. 2 Find a niche, create something new. Be No. 1 or No. 2 in your market. 3 The customer is king. Shareholders rule. 4 Look out, not in. Be lean and mean. 5 Hire passionate people. Rank your players; go with the A's. 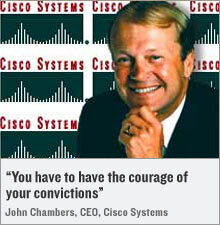 6 Hire a courageous CEO. Hire a charismatic CEO. 7 Admire my soul. Admire my might. Even now, nearly five years after his retirement from General Electric (Charts), Jack Welch commands the spotlight. He is still power-lunching, still making the gossip columns, still the charismatic embodiment of the star CEO. His books are automatic bestsellers. More than any other single figure, he stands as a model not just for the can-do American executive but for a way of doing business that revived the U.S. corporation in the 1980s and dominated the world's economic landscape for a quarter century. Just try to find an executive who hasn't been influenced by his teachings. What came to be known as Jack's Rules are by now the business equivalent of holy writ, bedrock wisdom that has been open to interpretation, perhaps, but not dispute. But the time has come: Corporate America needs a new playbook. The challenge facing U.S. business leaders is greater than ever before, yet they have less control than ever - and less job security. The volatility of the markets is so unpredictable, the pressure from hedge funds and private-equity investors so relentless, the competition from China and India so intense, that the edicts of the past are starting to feel out of date. In executive suites across the country, a dramatic rethinking is underway about fundamental assumptions that defined Welch and his era. Is an emphasis on market share really the prime directive? Is a company's near-term stock price - and the quarterly earnings per share that drive it - really the best measure of a CEO's success? In what ways is managing a company to please Wall Street bad for competitiveness in the long run? 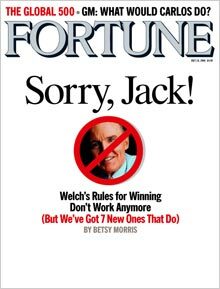 Jack Welch, needless to say, is having none of it. When FORTUNE caught up with him recently, he was as confident and outspoken as ever. "I'm perfectly prepared to change," says Welch (who co-writes a column in Business Week with his wife, Suzy). "Change is great." But, he asserts, he sees no reason to back away from the principles by which he and other star CEOs like Roberto Goizueta of Coca-Cola (Charts) managed. If applied correctly, Welch contends, his rules can work forever. Sorry, Jack, but we don't buy it. The practices that brought Welch, Goizueta, and others such success were developed to battle problems specific to a time and place in history. And they worked. No one questions today that bloated bureaucracy can kill a business. No one forgets the shareholder - far from it. Yet those threats have receded. And they have been replaced by new ones. The risk we now face is applying old solutions to new problems. Early on, Welch argued that lagging businesses - those not No. 1 or No. 2 in their markets - should be fixed, sold, or closed. In a 1981 speech titled "Growing Fast in a Slow-Growth Economy," he announced that GE would no longer tolerate lowmargin and low-growth units. GE, he told analysts at the Pierre Hotel in New York, "will be the locomotive pulling the GNP, not the caboose following it." As much as any other single event, Welch's words marked the dawn of the shareholder-value movement. And GE eventually became its star. No question who was Welch's boss. His report card: the stock price. His goal: consistent earnings growth. As his ruthlessly efficient strategy wrenched GE into high performance, the company's stock took off. Soon virtually everything Welch said became gospel - often to the extreme. When Welch embraced Six Sigma, the program began to proliferate all over corporate America. He talked about being the leanest and meanest and lowest-cost, and corporate America got out its ax. Welch advocated ranking your players and weeding out your weakest, and HR departments turned Darwinian. As time went on, the mantra of shareholder value took on a life of its own. Cheered on by academics, consulting firms and investors, more and more companies tried to defy history (and their own reality) to sustain growth and dazzle Wall Street as Welch was doing. Accounting tricks, acquisition mania, outright thievery - executives went overboard. "It became all about 'real men make their numbers,' " says one CEO. "What were we thinking?" This, says Harvard Business School's Rakesh Khurana, is the legacy of the Old Rules. Managing to create shareholder value became managed earnings became managing quarter to quarter to please the Street. "That meant a disinvestment in the future," says Khurana, author of "Searching for a Corporate Savior." "It was a dramatic reversal of everything that made capitalism strong and the envy of the rest of the world: the willingness of a CEO to forgo dividends and make an investment that wouldn't be realized until one or two CEOs down the road." Now, he believes, "we're at a hinge point of American capitalism." There is another model. In breathtakingly short order, the rock star of business is no longer the guy atop the FORTUNE 500 (today Rex Tillerson at ExxonMobil (Charts)), but the very guy those FORTUNE 500 types used to love to ridicule: Steve Jobs at Apple (Charts). The biggest feat of the decade is not making the elephant dance, as Lou Gerstner famously did at IBM, but inventing the iPod and transforming an industry. Dell (Charts) spectacularly upended Compaq and Hewlett-Packard, yet few big companies paid close enough attention to see that new technologies and business models were negating the power of economies of scale in myriad ways. Nobody has proved that more than Google (Charts). Yet in the corridors of corporate power, the old rules continue to cast an outsized shadow. Many CEOs are following a playbook that has, at best, been distorted by time. "How do you think about building shareholder value when a lot of people are really just going to hold the share for the moment?" says Jim Collins, a former Stanford Business School professor and the author of "Good to Great" and "Built to Last." "The idea of maximizing shareholder value is a strange idea when [many shareholders] are really share flippers. That's a real change. That does make the notion of building a great company more difficult." That doesn't mean everything about Welch's era is wrong. Indeed, we named him "manager of the century" in 1999. Were he at GE today, he might well be in the forefront of the current wave of rethinking, as his successor, Jeffrey Immelt, surely is. Still, in the way of all good analogies, we must begin by tearing down the old so that we can really open ourselves to something different. In that spirit, then, here are seven old rules whose shortcomings have become apparent and seven replacements that point toward a new model for success. Some of the old rules are inspired directly by Welch's teachings; others are not. You may not agree with all of our conclusions (Welch certainly didn't). We welcome the debate. What's most important is to get the discussion started. Next: OLD RULE: BIG DOGS OWN THE STREET. NEW RULE: AGILE IS BEST; BEING BIG CAN BITE YOU.